Come any evening and sit quietly for a few minutes. The wonders of nature are all around and slowly birds appear. Ducks emerging from cattails, egrets standing on long black legs in the shallows, Ibis flying in formation, visitors from distant lands just passing through. A world of magic revealed to those of us who are still for a moment. Las Lagunas de Anza is home to over 200 species of birds including many listed as “Species of Concern” and “Stewardship Species” according to the Mexican Highlands Region Chapter for the Sonoran Joint Venture. The following list has been compiled by various members of the Audubon Society and local birders. Most birds you will see at Las Lagunas migrate north in summer and south in winter passing through our wetlands as they come and go. Because the Sonora desert is very large and dry, birds congregate in narrow wetlands like Las Lagunas. Unfortunately, these wetlands have been filled in or have gone dry, so wetlands like ours are rare and valuable habitat that we work hard to protect. Many of the birds listed below are on the “Species of Concern and Stewardship Species”. Within our Cottonwood/Willow Riparian Habitat, we are home to the Sensitive Species of Gray Hawk; a relatively rare Arizona raptor species. By protecting the riparian habitat and the Bosque habitat we can promote their survival. The yellow-billed Cuckoo, also a Sensitive Species, relies on this habitat as well as the Bosque habitat above. The Willow Flycatcher is a U.S. Fish and Wildlife Service listed endangered species and can be sensitive to human disturbance. We strive to protect these species by conserving their habitat through trail management and grazing management. The Mesquite Bosque on the upperbench is home to Lucy’s Warbler (Habitat Quality Indicator). By allowing the natural habitat of mesquite, hackberry and elderberry to flourish, we are protecting the possible nest sites. 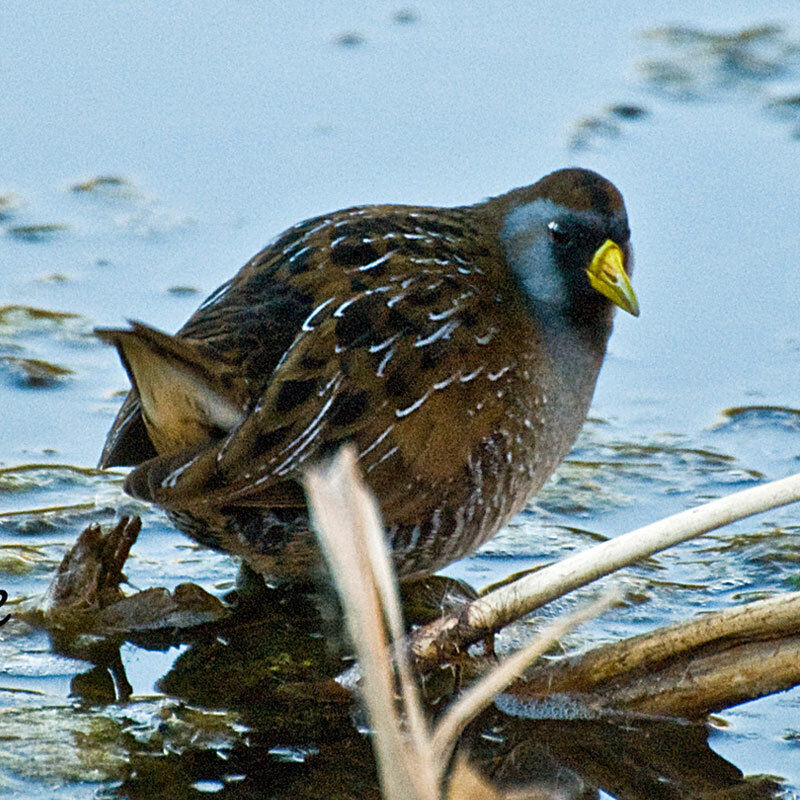 The Marsh provides habitat for the Virginia Rail and Sora which occurs in wetlands with shallow water, emergent vegetation (cattails, grasses, and sedges) interspersed with open water and mud flats or matted vegetations. By managing open water at Las Lagunas we can conserve this important habitat for these species.